"We are seeing lots of consumer excitement for Xbox One, Surface 2 and Surface Pro 2, and the full spectrum of Windows 8.1 and Windows Phone devices," says Microsoft. Microsoft's Q1 2014 financials are out and, as you might expect, it made a ton of money: $18.53 billion revenue for the quarter, with net income of $5.24 billion. That does include a chunk of cash - $113 million - related to deferred revenue from Windows 8.1 pre-sales in previous quarters, but let us not quibble about the small stuff. Microsoft certainly isn't about to; "our devices and services transformation is progressing and we are launching a wide range of compelling products and experiences this fall for both business and consumers," says Steve Ballmer, soon to be the former CEO. But what of Xbox? Well, Microsoft's changed its reporting policies as of this quarter. Now there's three categories: devices and consumer licensing, devices and consumer hardware, and devices and consumer other. Licensing refers to its OS and related software, including Office and Windows Phone. 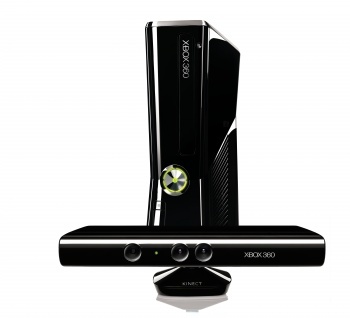 Hardware is the Xbox 360 - and presumably also the Xbox One, when it launches - its accessories, second and third party video games, and Xbox LIVE subs. Revenue's up in that sector, but gross margin's down about 45% compared to this time last year. It's making more money, but it's costing the company a lot more to achieve that revenue bump. That said, Hardware also includes Surface and Microsoft PC accessories, which muddies the waters; it's difficult to tell Xbox hardware sales performance when it's in there with the other stuff. Other is even more of a catch-all. Yes, it includes Xbox LIVE transactions - not entirely sure why transactions are so intrinsically different from subscriptions as to deserve to be in Other, but there you are - but it also includes everything else. And what is everything else? "Windows Store ... the Windows Phone Marketplace, search advertising, display advertising, subscription, comprising Office 365 Home Premium, Studios, comprising first-party video games, our retail stores, and certain other consumer products and services not included in the categories above," says Microsoft. So if you wanted to know whether first party video games and Xbox LIVE transactions are doing well, the answer is ... probably? Maybe? Other's revenue and gross margin are both up, but if you can tell whether Xbox LIVE transactions and first party game studios helped or hindered, you must work at Microsoft.